A new study has found that accessibility to large neighbourhood parks increases physical activity, and those with chronic conditions who exercise regularly in them are less prone to major depression. Besides increasing physical activity, regular exposure to outdoor green spaces improves cognitive functioning and lowers mortality risks. This is significant for those with chronic conditions, such as arthritis, diabetes, asthma and heart diseases, as they are the most vulnerable to depression. “Large parks in Delhi have diverse landscapes and are more likely to receive regular and frequent visitors, providing an opportunity for regular socialisation,” said the researchers of the study published in Heart and Place. 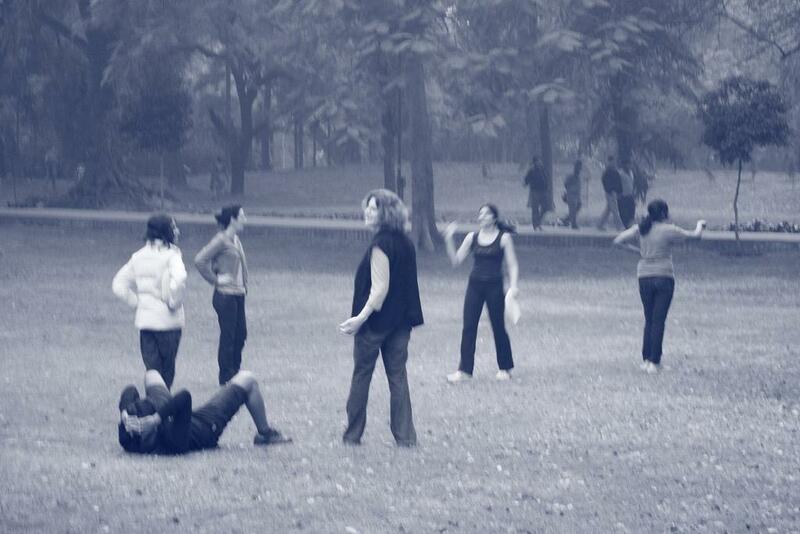 The Delhi-based study found those who used large neighbourhood parks walked for more than 150 minutes per week. For overall health, the World Health Organization recommends adults to engage in 150 minutes of physical activity per week. Researchers measured the association between park availability and major depression in 1,208 adult park-users in Delhi. Major depression was measured using a structured clinical interview. Compared to residents exposed to large parks, major depression was 3.1 times higher among residents exposed to small parks. They also showed that large-sized parks reduced stress and increased satisfaction with the immediate living environment. “There are several mechanisms by which mental health is enhanced by physical activity. This is largely by increasing levels of endorphins or natural mood elevators in the brain,” said Dr Dorairaj Prabhakaran of the Public Health Foundation of India (PHFI) and also one of the researchers of the study. Researchers point out that the negative impact of shrinking green spaces due to rapid socio-economic development in metropolitan cities has not been studied, stressing the need for more studies on the matter. In addition to health benefits, urban green spaces reduce air and noise pollution. They also function as important habitat islands for urban wildlife. While certain neighbourhoods may enable behaviours that promote mental health, residents in other neighbourhoods may find it more restrictive to follow a healthy and happy lifestyle. “Our study provides the first empirical evidence of the benefits of availability of parks in the Indian context. It highlights the importance of having large parks near people’s living quarters,” said Dr Mukherjee. The study could be a model for similar studies in other Indian cities. The scientists also recommend the inclusion of urban green spaces in city planning to increase overall health of people. Their findings come at time of largescale development of major Indian cities. “This is an opportune moment given that development of sustainable cities is ongoing in 109 cities selected across India in the SMART Cities Mission. Allocating municipal land for large urban parks should have a high priority,” added Dr Prabhakaran.